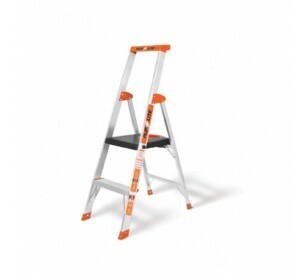 Little Giant Ladders Flip-N-Lite aluminum platform step ladder - Model 15272-001-M4-Boxed. Unlike most platform stepladders, which are often engineered to be expensive, the Little Giant Flip-N-Lite is engineered to be safe without being expensive. 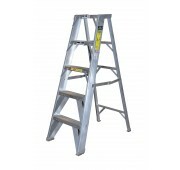 The lightweight Flip-N-Lite opens easily with just one hand and offers comfortable, deep rungs with a huge, secure standing platform. 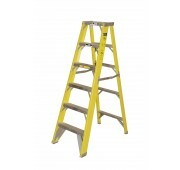 With a lightweight, slim profile and extra heavy duty construction (ANSI Type IA 300 lb. rating), the Flip-N-Lite is the perfect climb-in-comfort solution for anyone from a seasoned construction pro to a busy do-it-yourselfer. 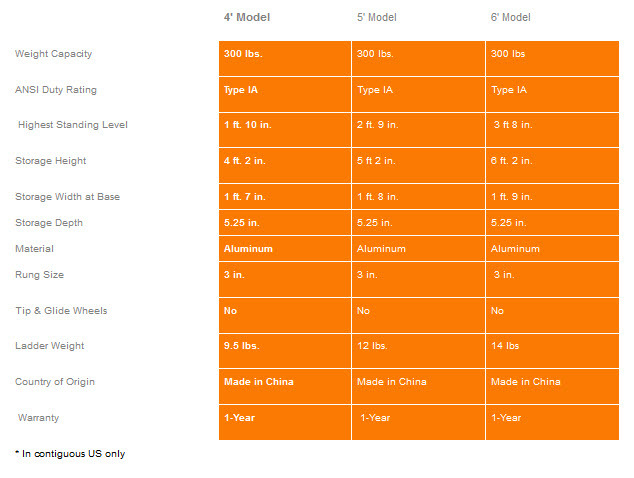 Super lightweight, yet industrial-rated construction. Huge, comfortable standing platform. Slim profile for easy transport and storage.